Our nation's birthday means backyard barbecues, pool parties, parades and — of course — fireworks. 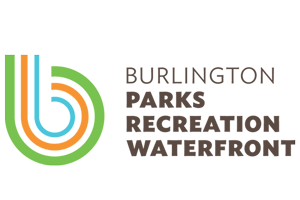 Burlington hosts a lively celebration at Waterfront Park on Thursday with kids' activities, musical performances and a bounce house. Fireworks start at 9:30 p.m.
Thursday is also the first night of Summervale — a family-focused weekly celebration of local food — at Burlington's Intervale. Consider a picnic dinner there, before heading to the Fourth of July festivities. For some daytime fun, there's an Old Vermont Fourth at Billings Farm & Museum in Woodstock on Friday. Families can make flags and Uncle Sam bookmarks, compete in sack races, crank fresh strawberry ice cream and hop on a horse-drawn wagon ride. In Stowe, there's an all-day party on Friday starting with the Moscow Parade at 10 a.m., followed by a village festival with street performers and a dunking booth and capped off with food, music and fireworks at dusk. Looking for something a little more high-brow? Picnickers tap their toes to the melodies of the Vermont Symphony Orchestra at Shelburne Farms on Friday evening. The night ends with a bang — of fireworks.